Low-carb diets are great for people who want to lose weight. However, maintaining a low-carb diet often turns out to be too challenging. Mainly because most people are too focused on maintaining a low-carb diet and don’t really pay attention to cooking up meals that are tasty. This is a big mistake because as the days go by the lack of taste and variety can push dieters to the absolute edge. Variety and flavor is perhaps never so important as when you are preparing your daily breakfast. The first meal of the day should not only be packed with protein and do well to energize the body but also completely satiate your taste buds. To make sure you never run out of options, here’s our list of 5 delicious low-carb breakfast recipes. Scrambled Eggs And Sausages: Let’s start with a recipe that’s both delicious and easy to cook. Start by cooking the sausages on a skillet. Keep the heat medium and cook until the sausages get nice and brown. Once done, it’s up to you if you want to plate the sausages whole or cut them up into bite-sized pieces. Preparing the eggs require a little bit more work. Add 4 eggs, 1/4th cup of milk, salt, and pepper to a large bowl and whisk them together to get a consistent mixture. Heat a little bit of butter on a nonstick pan. Once the butter melts, add the liquid mixture. Keep the pan on medium heat and stir the mixture continuously till it dries up. 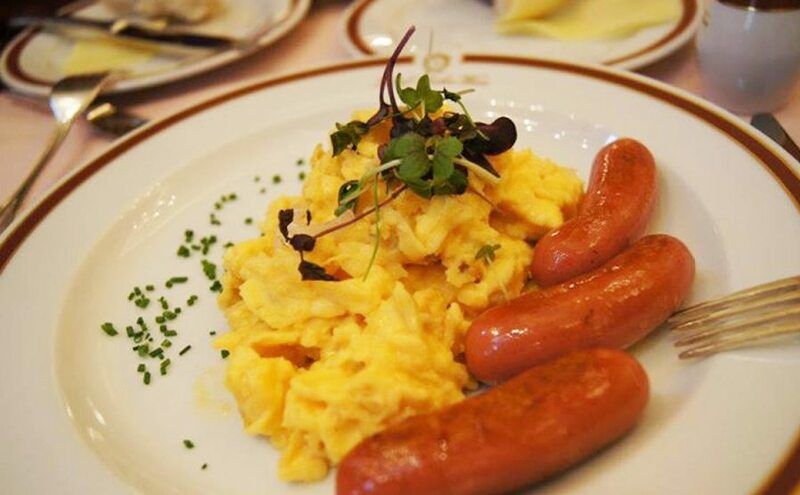 Plate the scrambled eggs with the golden-brown sausages. 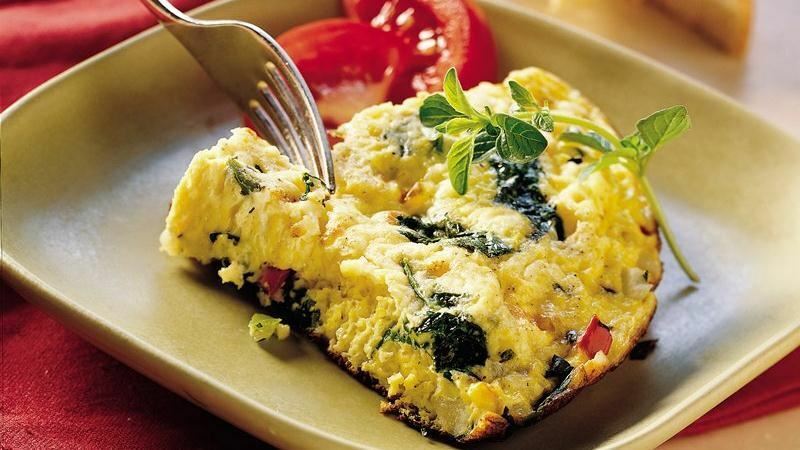 Greek Frittata: If you are craving for something fancy then this should do the trick. Start off by preheating the oven to 350 degrees. Take a medium sized casserole and add 3 to 4 tablespoons of olive oil and let it heat in the oven for about 5 minutes. While the oil heats up, whisk eggs, black pepper, scallion, sliced baby tomatoes, spinach, and salt together to create a mixture. Now all you have to do is put the mixture in the heated casserole and cook it for 25 minutes. After 25 minutes of cooking your golden-brown greek frittata is ready to be devoured. Bacon And Egg Muffins With Herbs: This is an easy-to-make recipe provided you already have the egg and bacon mixture ready in your fridge. You can create muffin batter in large quantities and keep it in the fridge and use it to make delicious flourless muffins whenever you want. To prepare the batter whisk 9 eggs and 1/4th cup of milk together. Add chopped bacon strips, herbs, salt, and pepper to the mix. Now preheat the oven until it reaches 400 degrees. Grease the muffin tins using olive oil or cooking spray and add in the mixture. Bake for about 30 minutes until the muffin gets a light golden color. 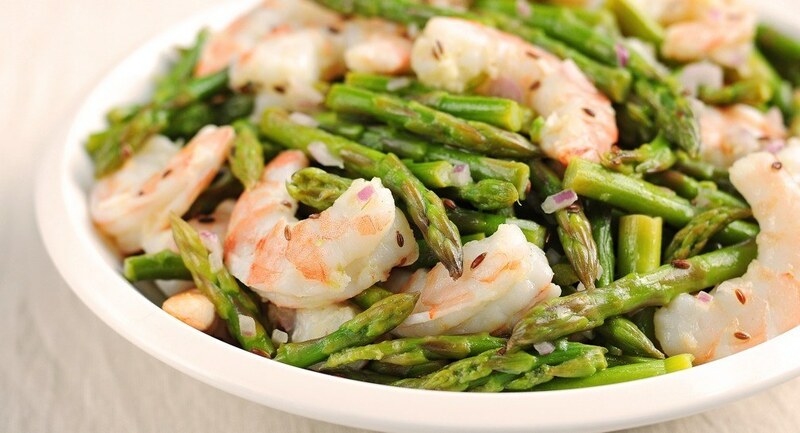 Shrimp And Asparagus Salad: The great thing about shrimps is that they are packed with protein and they need very little cooking time. This makes them a perfect ingredient to work with when you are in a hurry. Start by boiling cut asparagus stems in salt water for about 3 minutes. Remove the stems and let it cool. Add fresh and shelled shrimps to the salt water and cook for 2 to 3 minutes. Slice the asparagus and put it in a large bowl. To finish it off add the cooked shrimps along with lemon juice, fresh parsley, black pepper, and salt. You can also add beautiful lines of extra virgin olive oil to enhance the flavor. 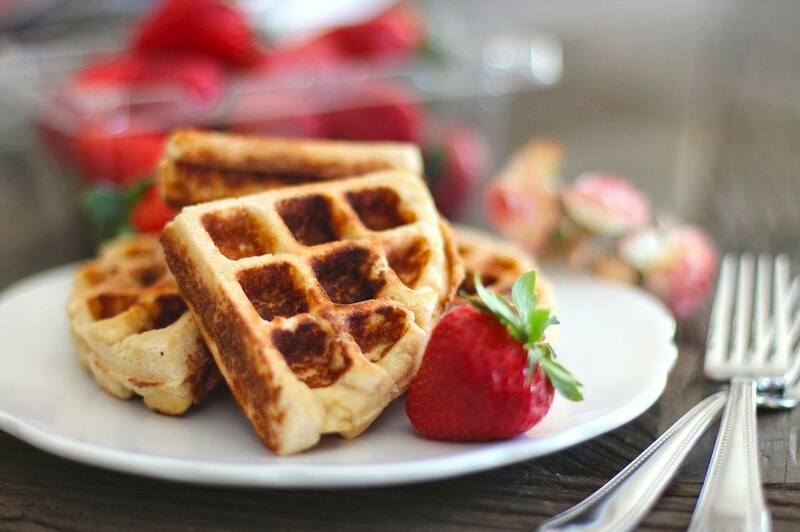 Flourless Waffle: Flourless egg waffles is probably the easiest recipe on our list provided you own a waffle iron. Create an omelet batter by mixing raw eggs, roasted chicken, herbs, and mushrooms. You can pretty much add anything you can find that goes well with eggs. Now, all you have to do is pour in the mixture on the iron skillet and let it cook for a few minutes on medium heat. That’s it, you get a fluffy and tasty waffle-shaped omelet in a matter of minutes. For more breakfast recipes visit lowcarblab.